Our Heritage range of feature windows all carry the same benefits of our range of Timber Casement Windows. We can replicate styles and ornate features of Historical Timber Windows, including Arched Windows, Raked Windows, Bay Windows and Bow Windows, redesigning to incorporate improved thermal efficiency and security, with concealed gaskets and locking mechanisms. 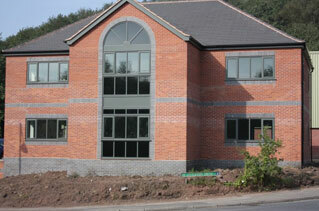 We also offer a choice of glazing options depending on local authorities. To replace these Timber Bay Windows with ones that are of the same look and style but have all the benefits of modern Timber Windows such as double glazing, fully draft sealed and espagnolette locking, not only keeps the period features of the house but also will add value to the property. So if you have a Timber Bay Window or just a straight forward Casement Window with ornate mouldings, shaped arches, decorative Georgian and Victorian glazing bars, then we have a range of standard moulding options and embellishments that should suit most applications. We can also manufacture tooling to recreate the traditional mouldings if required.